After-school clubs: how many is too many? Take a look at Annabel’s diary and you may be inclined to agree. Her children do a total of 13 different out-of-school activities each week. As a consequence they rarely eat their evening meal at home and usually do their homework in the car. And even though organising this weekly schedule appears to be a full time job, Annabel still finds the time to work as a lawyer and battle a long daily commute. “I’m really not a tiger mum,” explains Annabel. “In fact, I’m not competitive at all. I rarely watch my kids doing any of their activities as I’m usually working on my laptop.” So, you may ask, why does she put herself through this gruelling schedule? “In the old days, kids would come home and go running around in the street – that just doesn’t happen anymore, but they still need to burn off energy. Most of the activities we do are physical and that’s my choice, but I never make them do anything they don’t enjoy.” When asked whether she feels her children are missing out on time with family and friends or the chance to unwind after school, Annabel is quick to defend. Interestingly, a new study, which is thought to be the first of its kind, into the link between participation in after-school activities and academic attainment supports Annabel’s belief. 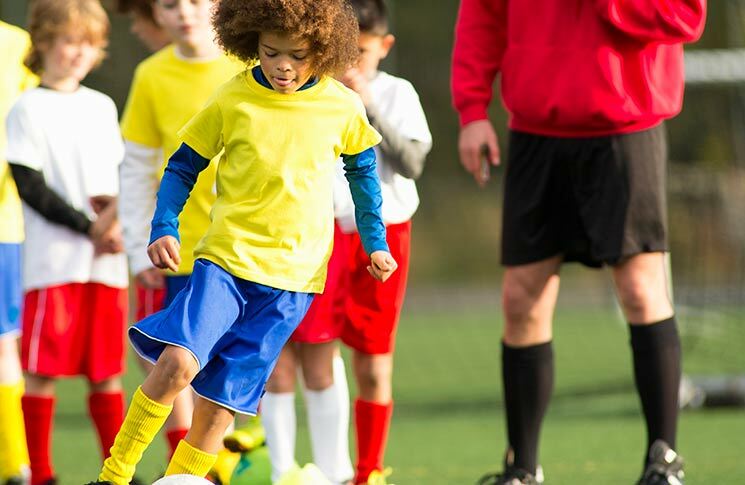 The research by the Centre for Longitudinal Studies at University College London concluded that primary school children who take part in clubs and organised sports achieve more academically and have better social, emotional and behavioural skills than those who don’t. Annabel’s schedule may sound extreme, but she’s definitely not alone. Joanne’s two boys do eight different activities each week and she also volunteers to run one of their groups. That said, while experts agree that exhausting your children by pushing them into too many things or putting pressure on them to succeed where you may have failed can have serious consequences, few can argue the benefits of having the right balance of activities. And with only 21% of boys and 16% of girls aged five to 15 doing the recommended amount of daily exercise, after-school clubs are perhaps more important than ever before. Little ones have the chance to learn French through fun and games in these multi-sensory classes. Founded almost 25 years ago, sessions are run by French natives in various venues across the capital. A great opportunity to introduce your child to the joy of music. Classes are divided by age group, where kids can enjoy opera-quality music, learn about a variety of instruments, and sing and clap. Watch as your kids learn the basics of sport, balance and coordination. There’s a wide variety of sporting activities to try; from tennis, football and cricket to baseball and volleyball. Children can learn how to cook a variety of dishes at this cookery school in Wandsworth. Best of all, they can take home their creations at the end of each session to share with the family. Suitable for ages six and upwards, budding artists can flex their creative muscles at Dodo Studios in Dulwich. They’ll get to create their own masterpieces, while learning about different art movements and mediums.